Javea in Spain is in the shadow of the dominant Montgo mountain in the northern part of the Costa Blanca and is one of the most popular resorts in the region. The city began attracting northern Europeans more than 30 years ago, and many of these visitors have bought their own apartments and chalets. Javea is an attractive destination with much to offer visitors, including some of Spain’s finest golden beaches. Javea is divided into three parts: Javea Pueblo (Old Town); Javea Puerto (the busy harbor area); and Playa de Arenal (the largest beach area). Today, the old town and the port have grown quite a lot thanks to the property development that has taken place in the city, while Playa de Arenal is 3 km along the rocky beach of Javea Puerto. The cozy old center of Javea is worth visiting a couple of hours a morning. You can wander around to admire the whitewashed buildings in Gothic style. Have a look at the gothic church of San Bartolome and visit the busy food market with its stalls full of fresh fish and fruit and vegetables from the region. Take a coffee break at Temptations or stop at the C / Major cafe under the stairs leading up to the very helpful tourist information in Plaza de la Iglesia (Church Square). Today, most of the ports of the tourist destinations of Alicante province have become trendy marinas with designer shops, but not in Javea. It still works as a fishing port with boats moored in the immediate vicinity. With its beautiful promenade with outdoor terrace restaurants and cozy local bars, it’s a great experience to wander around and soak up the crowds. The view of the bay is spectacular. During the first week of September, this place is home to one of Spain’s more unusual fiestas, when the bulls are released on the paddock area where they are mocked by local youths jumping in the sea when the bull is hunting for them. The goal is to make the bull fall into the water. Playa de Arenal is Javea’s beach area. There is a chilled area stretching more than 300m from the well located at Hotel Parador in the north, and as far as the restaurant area ends in the south. This area has many cafes, bars and restaurants located on row and row on the wide seafront. The beach itself is fabulous with superb fine golden sand. There is a volleyball net along the back of the beach which is popular later in the day and there are several play areas for the kids. 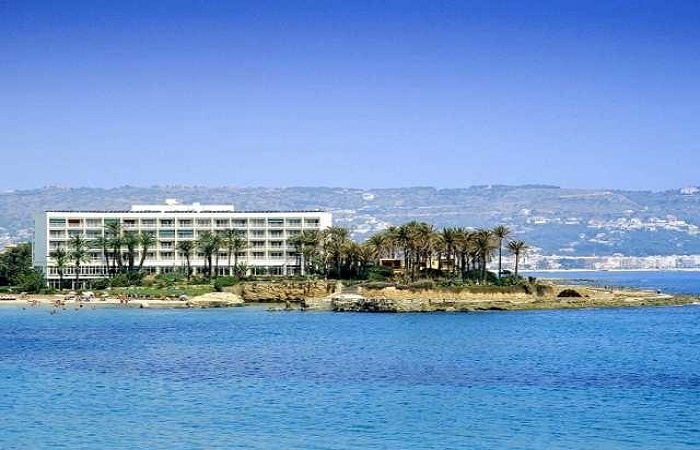 In Javea, the hotel Parador is perfectly located at the northern end of Arenal beach. The bedrooms have large windows with great sea views and the garden is filled with many different varieties of tropical plants and flowers. There is a restaurant in Parador where you can taste typical dishes from the area like Fideua which is a noodle based Paella typical of the Valencia region. El Rodat Hotel Village is a member of the “Small Luxury Hotels of the World” group and consists of suites and bungalows scattered among the beautiful gardens with tropical plants and trees. All suites have a private terrace and are luxuriously furnished. The wellness center has a full-service spa and other facilities that include both outdoor and indoor swimming pool, paddle and tennis courts. L’Arroceria The restaurant is open for lunch and has a terrace which is the perfect place to enjoy rice specialties and views of the Javea Bay. Everything you need to know about attractions, sights, restaurants, nightlife, shopping, beaches, climate and much more in the beautiful seaside town of Javea, Spain.